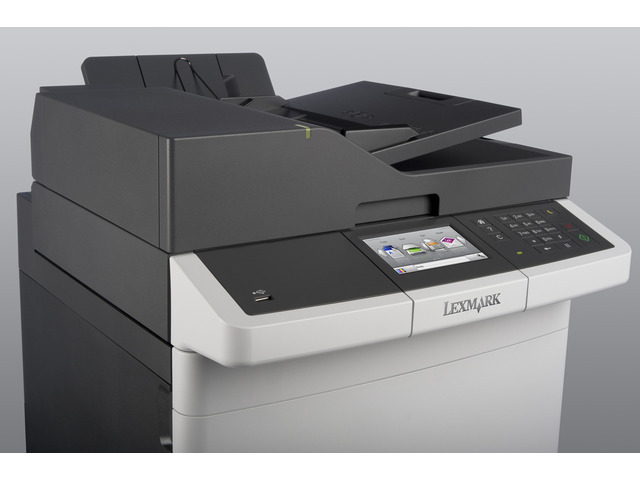 The Lexmark CX417de colour MFP offers reliability, security, optional wireless and mobile printing, duplexing and networking, and prints up to 30 pages per minute. Easily print up to 10,000 pages per month, plus enjoy fewer maintenance hassles, thanks to our state-of-the-art paper handling. Use the Lexmark Mobile Print app from any iOS or Android device. The beautiful 10.9cm (4.3-inch) colour touch screen lets you easily manage jobs and add workflow solutions. For an added level of peace of mind, you can benefit from 4-year guarantee coverage​ upon registration​. 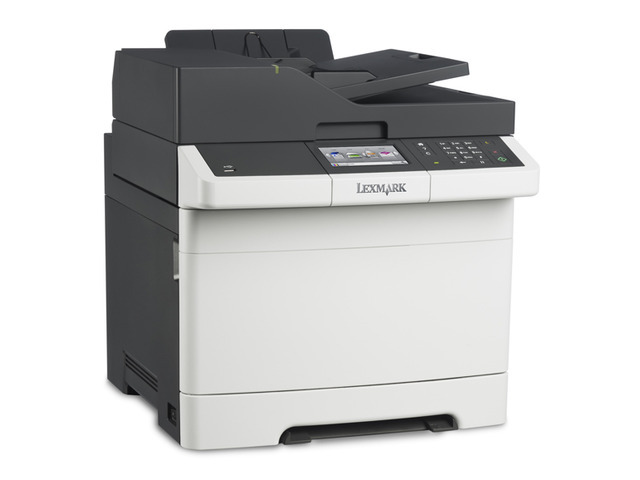 Quickly print, copy and scan up to 30 pages per minute in black and colour, plus produce a 1-page colour document in as little as 11.5 seconds. Produce professional colour in-house, on demand. 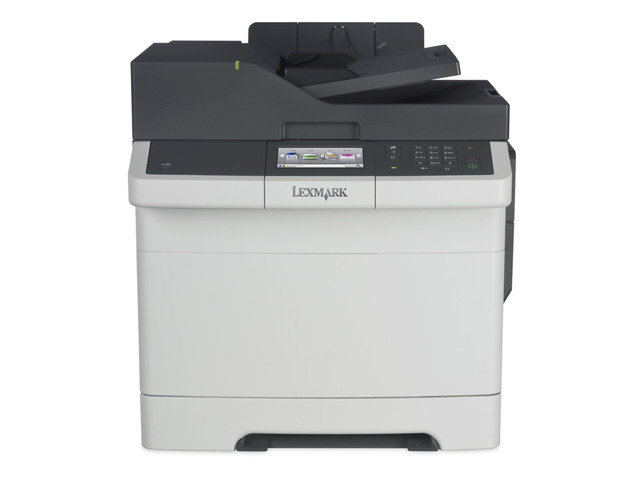 With 512 MB of upgradable memory and a fast dual-core processor, you'll print quickly, too. Lexmark Named Colour Replacement and PANTONE® calibration make it easy to develop a consistent brand image by accurately matching your colours.